The 3DEP products and services available through The National Map consist of standard digital elevation models (DEMs) at various horizontal resolutions, elevation source (lidar) and associated datasets, and web applications and visualization services. Products of the 3D Elevation Program are built upon the most current applicable standards for geospatial data. 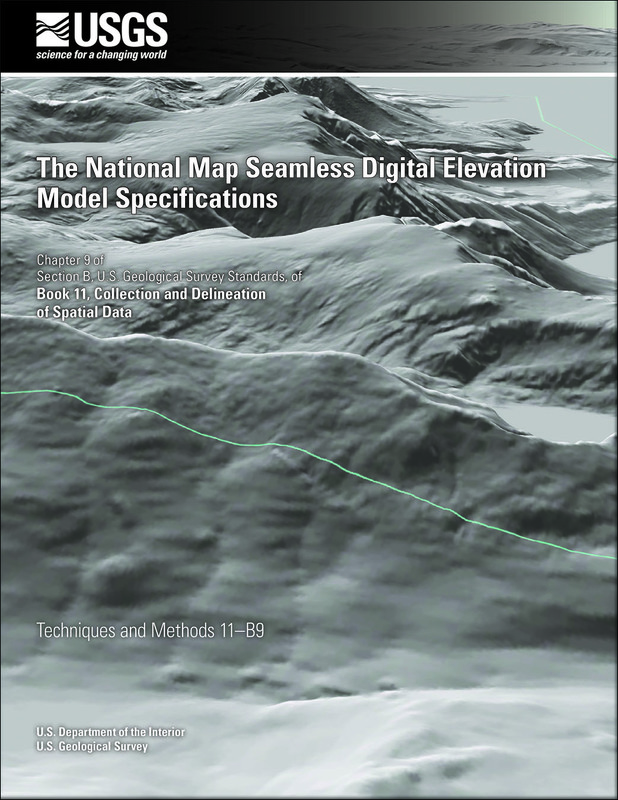 The National Map serves elevation data for the United States at a variety of resolutions. The most recent and highest resolution elevation data are acquired by the USGS 3D Elevation Program. The primary goal of 3DEP is to systematically collect 3D elevation data in the form of light detection and ranging (lidar) data over the conterminous United States, Hawaii, and the U.S. territories and interferometric synthetic aperture radar (IfSAR) in Alaska. Light Detection and Ranging (lidar) is the technology used as a basis for the 1-meter 3DEP DEMs. 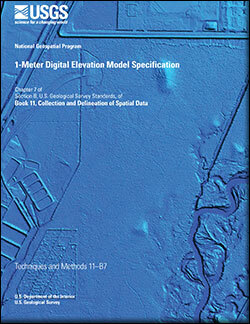 Collections of lidar data are covered by the Lidar Base Specification (LBS). Spec-X is the NGP Specifications Explorer database application. The current release is a beta version and is subject to updates and major changes. Additional specifications are being added on a regular basis. 3DEP products conform to the Federal Geographic Data Committee's content standard for digital geospatial metadata. 3DEP products are documented using the Federal Geographic Data Committee (FGDC) content standard for geospatial metadata. 3DEP products are searchable collections through the Data.gov Open Government Initiative. Elevation products are provided in formats that are fully compliant with Executive Order 12906, OMB Circular A-16, OMB Circular A130 , and OMB Circular A-119. If you encounter problems or require more information about these standards, please contact National Map Help. 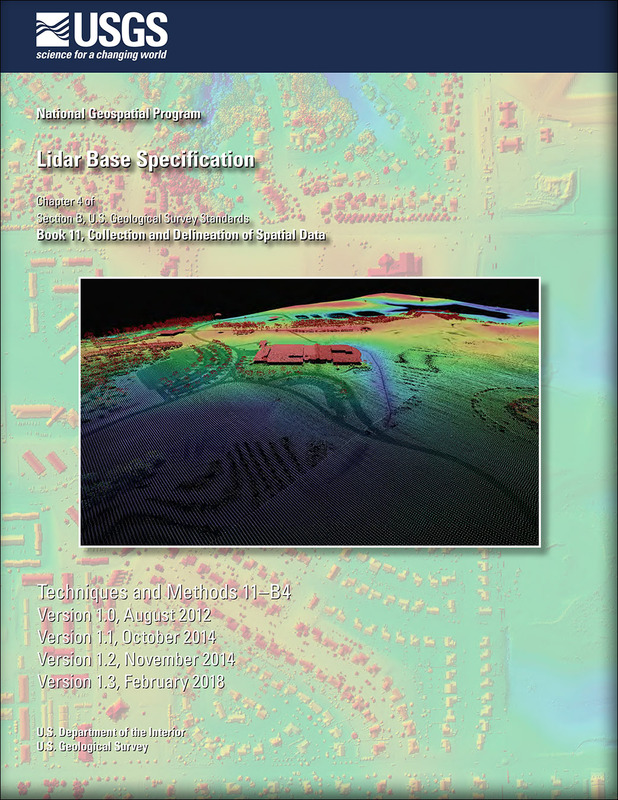 Heidemann, Hans Karl, 2018, Lidar base specification (ver. 1.3, February 2018): U.S. Geological Survey Techniques and Methods, book 11, chap. B4, 101 p., https://doi.org/10.3133/tm11b4.